I have a very special guest on my blog today: Betsy Bird, one of my favorite kidlit bloggers! Her passion for kidlit and her excellent blog posts are some of the reasons I decided to start blogging about kidlit and YA lit! Betsy, thank you so much for visiting Into the Wardrobe. Dear readers, Betsy's guest blog post is below. You Know When They Say Winning the Lottery is the Worst Thing That Can Happen to You? You may have seen YA author John Green allude to this recently. Not too long ago he created this lovely little Mental Floss video called 47 Charming Facts AboutChildren’s Books. At around 2:53 you’ll hear John talk about the great Margaret Wise Brown. John points out that Ms. Brown almost randomly left the rights to her classic picture book Goodnight Moon to the neighbor kid next door. Literally. The boy next door. But this being a quick video John doesn’t exactly go into any detail. Curious about why exactly Margaret did that and what the effect was on the kid? 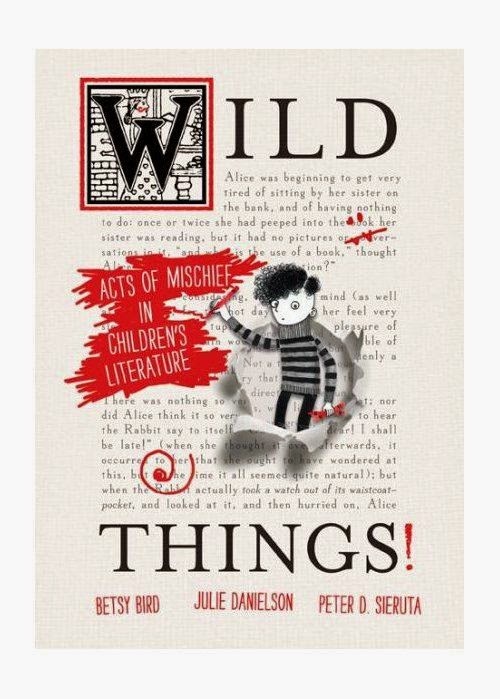 In Wild Things: Acts of Mischief in Children’s Literature (written by myself, Julie Danielson, and the late Peter Sieruta) we looked into the story and here’s what we found. The fact of the matter is that Ms. Brown was lovely, vivacious, and died tragically young. As recounted in our book, she was just 42 when she died of an embolism. In fact, it was the cute little can-can kicks she did for her doctor to show how great she was feeling that ultimately did the deed. Few perfectly healthy 42-year-olds expect to be dead at any moment, so we should take Margaret’s will with a grain of salt. She apparently changed it more than once and had she lived she probably wouldn’t have kept it the same for very long. Nonetheless, and for whatever reason, she did indeed leave the rights to what would become her greatest work to Albert Clarke, her 9-year-old neighbor. Weird? Not as much as you might think. See, the fact of the matter is that Goodnight Moon wasn’t really a hit in Margaret’s lifetime. It did okay but it took some time for the book to gain any ground in the cultural mindset. So when she granted Arthur the rights it wasn’t supposed to be any great shakes. Next thing he knows, the kid’s a millionaire. Fabulous, right? Apparently not. Though it might be a bit of a stretch to say it this way, money ruined Arthur. But for the details of how exactly he was ruined I’m afraid you’re just going to have to read our book. Sorry about that, but trust me when I say that I hope John Green learns a lesson or two from Margaret’s story. The next time he feels like leaving the rights to, say, An Abundance of Katherines to little Johnny down the street as a nice gesture, maybe he should think again. Trust me. Little Johnny will be just fine without the cash.